Every year, when I get to delicate print, the questions is "How do I want to interpret it this time?" Last year, I took something delicate and made a print out of it. 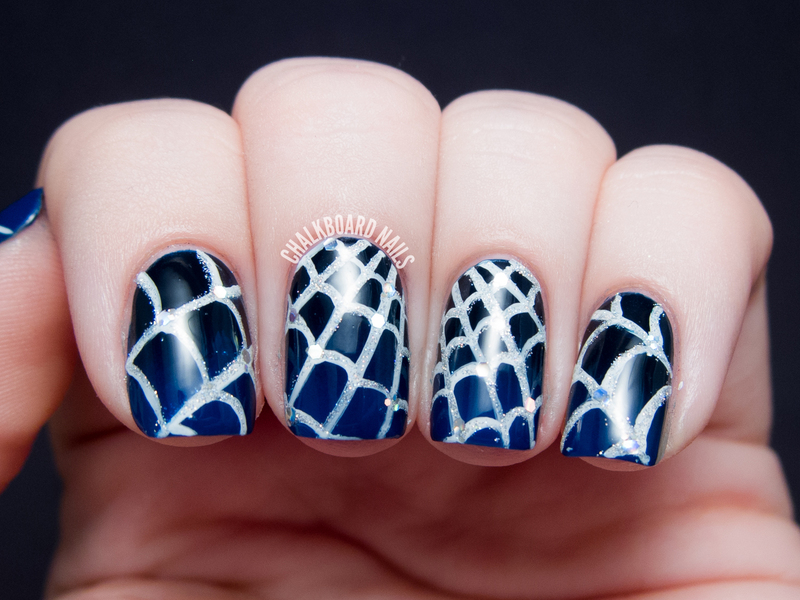 This year, I opted to do something similar, though spiderwebs kind of make a print on their own without any help! 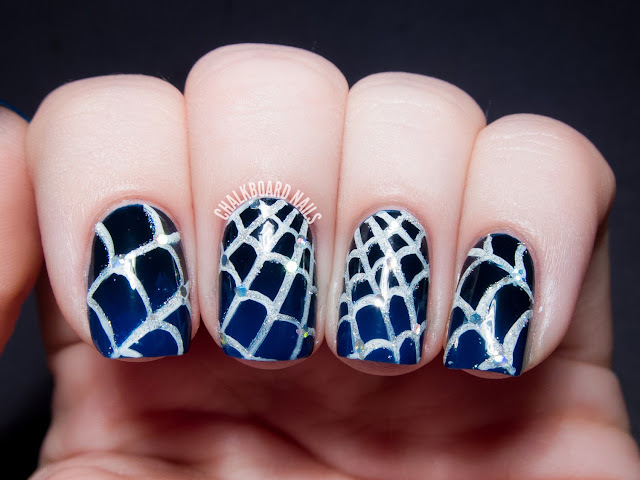 I had this vision of a spiderweb, lit up in the dark, glistening with raindrops. I started with the dark first. Using a makeup sponge, I created a gradient of OPI Incognito in Sausalito and China Glaze Man Hunt. 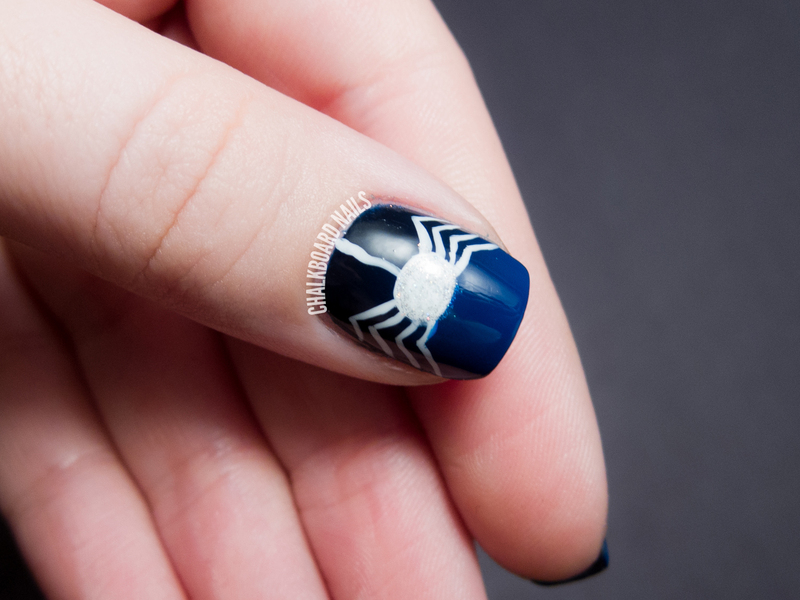 The effect was more subtle than I anticipated, but that was just fine since I didn't want to distract from the webs too much anyway. 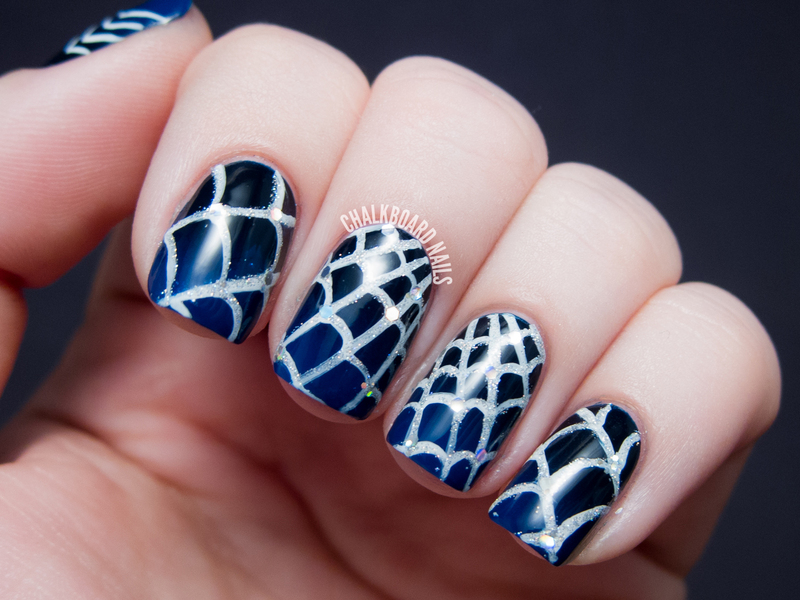 Then using a small nail art brush and Essie Blanc, I freehanded on the webs. I've done spiderweb nail art in the past where each nail has its own web, but this time I wanted to try to make it look like just one, stretched over all of my nails. The final step was adding the "glistening" effect. I painted China Glaze Glistening Snow over the white outlines, and then hand placed some pieces of Finger Paints Santa's Magic to look like larger droplets. I painted a little white spider on my thumb -- he's the resident of the web (duh). My delicate print nails from 2012! My delicate print nails from 2011! Very cool! I'm terrified of spiders, but I can't deny that their webs are really cool looking, lol! If I weren't already in the mood for Halloween, this would have gotten me there! It also reminds me of Charolette's Web, with the woven words glistening with the morning dew. Terrific! Radiant! Some Pig...? 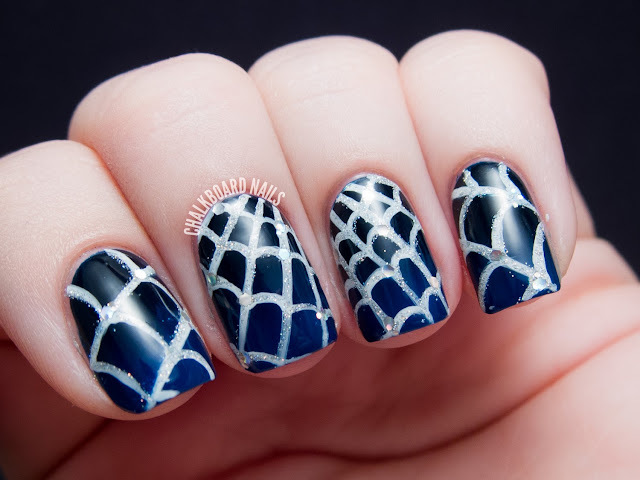 I need to do these for Halloween, I love them! So cool! 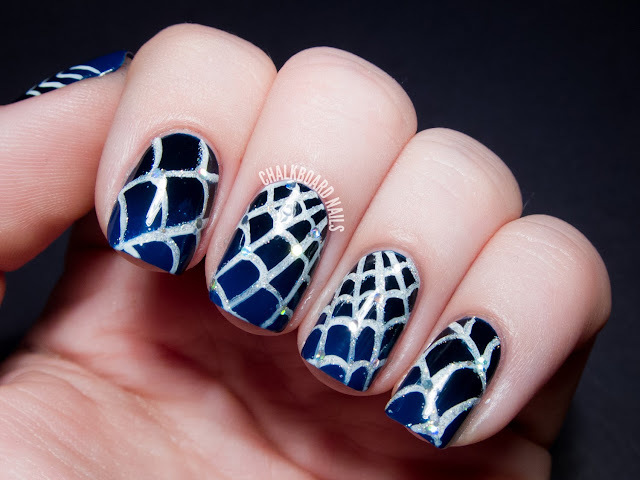 This is perfect for Halloween!